An LED light kit for video is something I've always wanted to own. 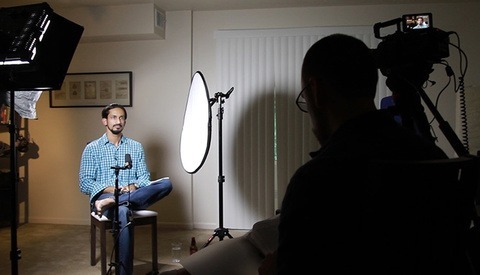 After years of using hot ARRI and Lowel lights, and renting LitePanels when the budget allowed, I discovered a company called Zabolight that was making LED panels and other fixtures at a much cheaper price. I purchased a kit of these, and did some testing to see how they compared to other more expensive brands. A few days ago Creative Live posted this video of Benjamin Von Wong explaining the importance of creating meaningful behind the scenes videos and how they can help shape your career. It's no secret that I do post Ben's videos to the site often. His videos are not only educational, but fun to watch, as well. 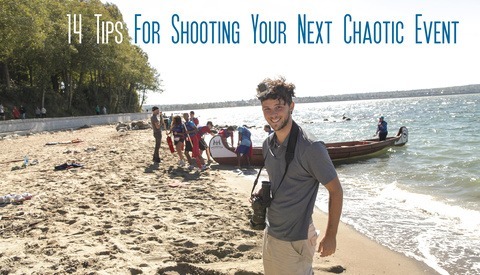 You too can go on to create your own informative and noticeable BTS videos with these tips. In my filmmaking career, I’ve had the opportunity to film some pretty unique events. While shooting I often come across other event shooters and realize that we’re a unique breed. Essentially, we're people willing to sacrifice food, rest and comfort to tell an amazing story. Even though we accept the stresses that comes with event shooting, there are a number of ways we can plan ahead and minimize headaches. Do you ever come across someone and think "what were they thinking, why would they even do that?" Well, I will bet money you've scrolled through your newsfeed or Facebook groups and said this at least once. 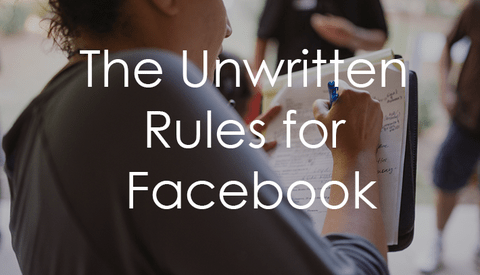 There are three main sections you should probably pay close attention to while using Facebook. Here is a look at a 4 day photo shoot my studio PRO Photo did for Bailey's Irish Cream through Brand Content in Boston. This job was especially technical due to the bottle's reflective and concave properties. This called for an extra technical and precise lighting setup. The slightest move in any of the lights drastically changed the light shape on the set and bottle. Take a look. In the past 10 years I was able to work and see the industry from so many different perspectives: as a celebrity shooter, as a photography writer, as a photo-consumer and as an agency photographer. All these years I have heard so many tips and so many "rules." You know, stuff like "know who came before you," or "it's not about the equipment." 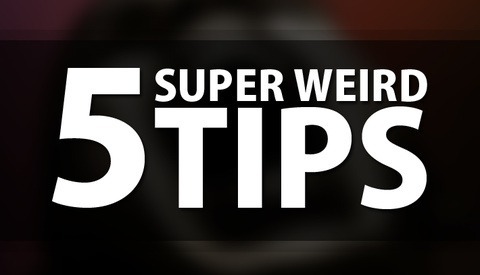 Now It's my turn to give tips - and mine are way weirder. 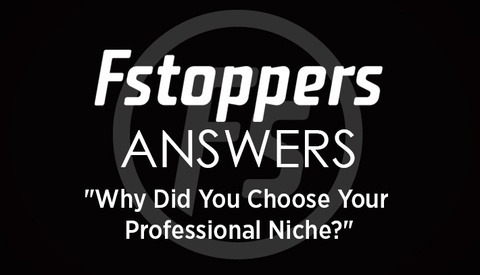 Fstoppers Answers - "Why Did You Choose Your Professional Niche?" Each week, we ask our viewers to submit questions in the comments for our writers to answer in a series we call "Fstoppers Answers". Last week, we asked our writers to give marketing advice to the viewers. This week, we're asking them what made them choose their career with "Why Did You Choose Your Professional Niche (Wedding, Commercial, Sports, Etc.)?" Two nights ago we threw another successful Fstoppers party in NYC for the wrap up of Photo Plus. After hauling out all the remaining booze, breaking down the "Terry Richardson Photobooth," and sweeping up a million glow sticks, we saw a heavy bag full of goodies. 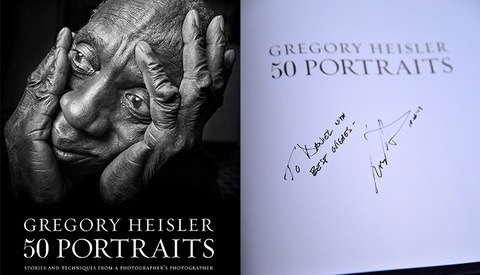 What we found was a brand new copy of Gregory Heisler's 50 Portraits....and it was signed by the man himself! 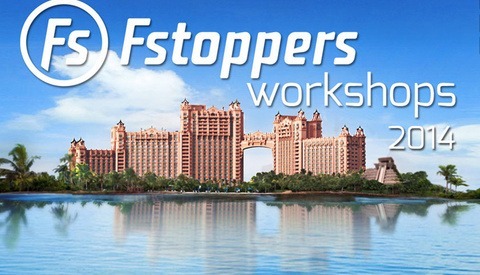 After 2 years of planning we are extremely excited to announce Fstoppers Workshop Atlantis, our first ever live workshop event. We have 10 incredible instructors and we will be limiting the size of the event to around 200 students. The best part is the location; we are throwing this event at Atlantis Resort in the Bahamas. On November 7th, 8th, and 9th Rob Grimm of PRO EDU will be giving away a 2-day pass to the Fstoppers Bahamas Workshop in May of 2014. It's free to enter, just tune in live for your chance to win on CreativeLIVE next week where we will announce the instructions for how to enter. 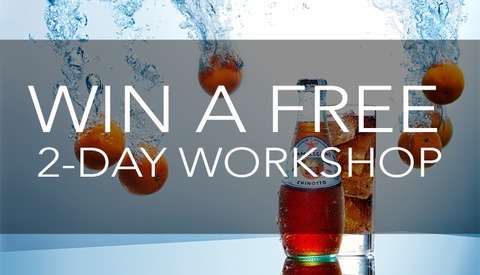 The pass we are giving away is for our liquids, liquor, beer, and splashes workshop that will cover everything we know about shooting liquids. 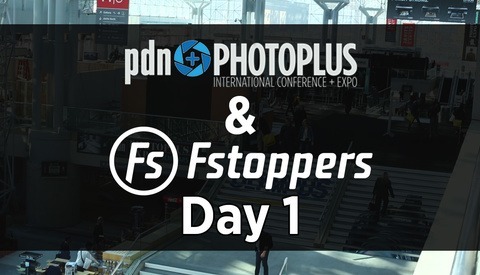 This weekend, Fstoppers has been at PhotoPlus Expo in New York City to give an inside look at all the new products being announced to the photography community. Yesterday, we showed off new products from Samsung, Spider Holster and more, and the day before we showed off the impressive DEFY gimbal system and others. Today, we were able to look into Sigma, Canon and Nikon's new product lines. 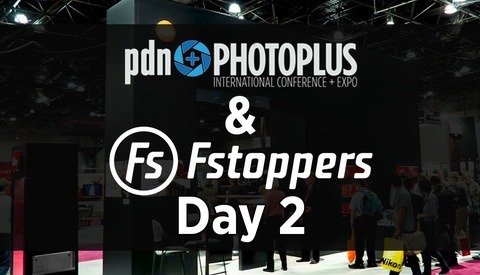 All this weekend, we're giving you exclusive coverage of PhotoPlus Expo in New York City, where all brands meet, announce and show of their latest products and innovations. Yesterday, we were able to give you an inside look at the Sony A7R, TriggerTrap RedSnap, DEFY Gimbal system and others. Today, we're able to show you an inside look into Samsung, Manfrotto, and more. Photo Plus Expo is upon us, and I'm here to give you an exclusive look at what all that happened yesterday. If you're in New York, you're highly encouraged to check out all that is happening. If you're not able to check it out, I am here to show you the new products, exclusive interviews and all the events and news going on in New York this week. I'm fortunate to get to do a lot of travel with my work. 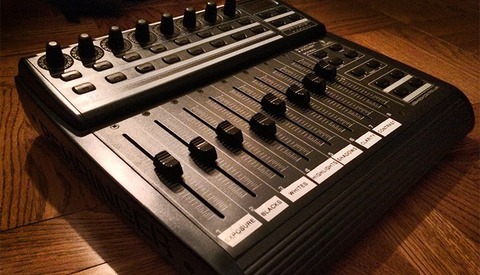 However it can also be a bit of a hassle because I can't really use the same workflow I do at home. I have a very specific and efficient way I handle, capture and deliver work when I am at home, but when I travel, things change quite a bit. Most out of necessity. 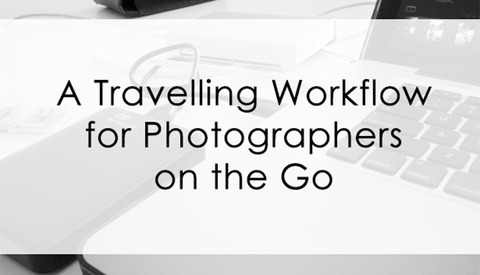 One of the biggest components to that is my travel workflow.